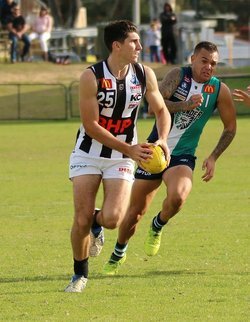 AN Albert Dean goal after the siren in the reserves saved Swan Districts from returning from Mandurah winless against Peel Thunder in all three grades on Saturday. With the colts and league teams losing to Peel at Bendigo Bank Stadium on Saturday, it was a goal after the siren from Albert Dean to win the game for the Swans' reserves that provided the highlight of the day. 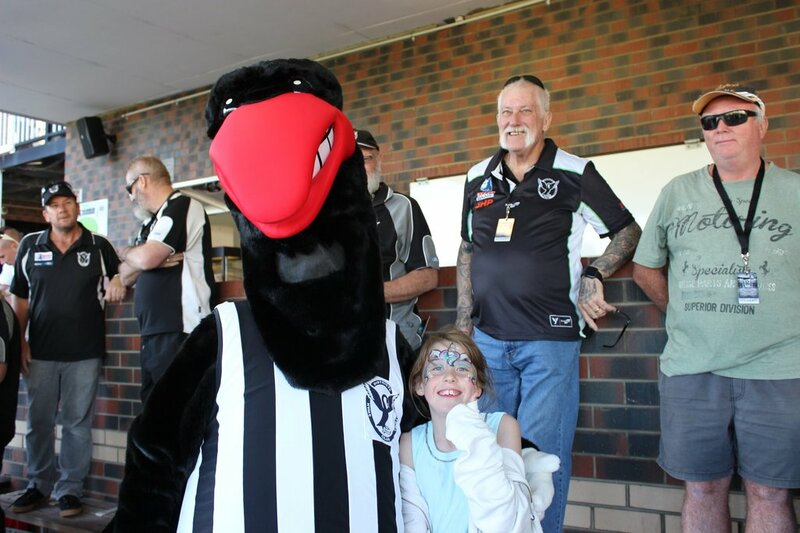 Peel hosted Swan Districts on Saturday at Bendigo Bank Stadium with both teams fighting over positions in the bottom part of the top five so the stakes were high for the Round 13 contest. But the Thunder started strongly with the first three goals and then despite a Swan Districts fight back in the third quarter, Peel finished strongly to record the 10.18 (78) to 9.6 (60) victory. Despite the loss and even though they have now lost three games in-a-row, Swan Districts does remain in fourth position on the ladder but only percentage now ahead of Claremont and Peel. Todd Banfield worked tirelessly in Swan Districts' forward-line and finished the afternoon with three goals to go with 16 possessions, six tackles and five marks. Matt Riggio racked up another 28 possessions in the midfield for Swans up against the team he played at before being drafted into the AFL at North Melbourne. Jesse Turner also collected 25 disposals (six tackles) for Swan Districts, Tobe Watson 23 (11 marks), Rhys Palmer 22, Tony Notte 21 (eight marks), Steven Payne 21 (seven marks), Freddie Clutterbuck 20 (six marks) and Alex Howard 16 (eight marks). It only took four minutes for Peel to get off to a flying start with quick goals to Sean Darcy and Harley Bennell to put Swan Districts on the back foot. Darcy then added another goal for the Thunder at the 13-minute mark and it 3.1 to nothing with Swans left shell-shocked. The black-and-whites did get on the board with a goal to Matthew Rogers but Peel still led by 15 points at the first break. The Thunder kicked further clear with a goal to Blair Bell to open the second term and then after Todd Banfield did kick truly for Swans, Peel responded thanks to 100-gamer Gerald Ugle and Brayden Lawler to lead by 30 points. That was before a couple of quick Swan Districts goals to Adam Faulkner and Corey Gault before Peel go the last of the first half through big man Luke Strnadica to be up by 24 points. Swan Districts certainly breathed plenty of life back into the contest in the third quarter with goals to Brayden Noble, Banfield and Rhys Palmer. They were the only goals of the term with Peel managing just the four behinds as their lead shrunk to seven points. But goals in the opening nine minutes of the last term for Peel to Taylin Duman and Darcy sealed the eventual 18-point victory for the home side. It turned out to be a thrilling reserves contest at Bendigo Bank Stadium on Saturday with Swan Districts beating Peel Thunder 11.6 (72) to 10.11 (71). Swan Districts' reserves led by two points at quarter-time before kicking away with the only three goals of the second quarter to be up by 21 at the long break. But Peel hit back with four goals to one in the third quarter to see scores level at three quarter-time and then the Thunder still led by five points as time expired. But Albert Dean had a shot to win the game after the siren and kicked truly for Swan Districts to win by a point. Taryce Stewart and Chad Daniels kicked three goals apiece for Swans with Albert Dean kicking two, including the match-winner, to go with 24 possessions and eight tackles. Aaron Wheeler picked up 27 possessions for Swan Districts, Brandon Erceg 20, Callum Garcia 20, Daniels 18, Jacob Coniglio 16 and Denzel Moore 16. Earlier in the day in the colts, Swan Districts went down to Peel by 62 points. Dylan Brockbernd kicked two goals for Swans with singles to Blake Pescud, Sebastian Bright, Jak Watson and Matthew Russo. Joe Hinder gathered 25 possessions for Swan Districts to go with seven marks and six tackles while Pescud compiled 20 disposals, Mitchell Bain 19, Ethan Nordahl 19, Patrick Farrant 17 and Harry Edwards 17 to go with 13 hit outs and seven tackles. 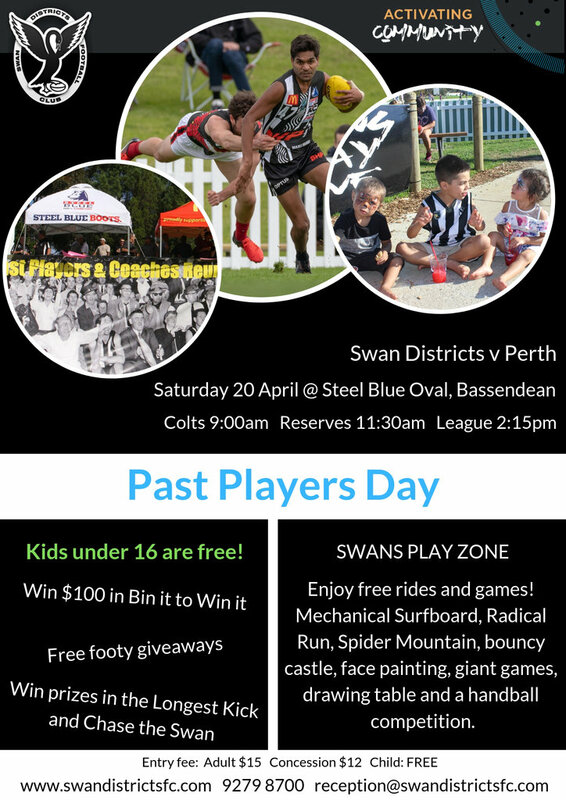 Swan Districts returns home to play Perth at Steel Blue Oval on Saturday needing a win to steady its ship and retain a position inside the WAFL top five. SWAN DISTRICTS – Goals: Banfield 3; Palmer, Faulkner, Rogers, Gault, Noble, Reidy. Best: Riggio, Banfield, T Watson, Turner, Notte, Payne, Palmer. PEEL THUNDER – Goals: Darcy 3; Ugle 2; Lawler, H Bennell, Bell, Duman, Strnadica. Best: Darcy, Duman, Power, Pearce, Hill, North, Grey, Ugle.